How do you make a chicendive? Sounds like a joke, and it is a little tricky, but there might be a good reason to do it. Chicory will not cross into its cousin endive, but endive will occasionally pollinate chicory. The offspring are colorful and hardy, like chicory, with the leaf shapes and textures more akin to endives and escaroles. Introduced years ago by Fedco as an interesting population, it is only now beginning to yield some stable forms that can be introduced as varieties. 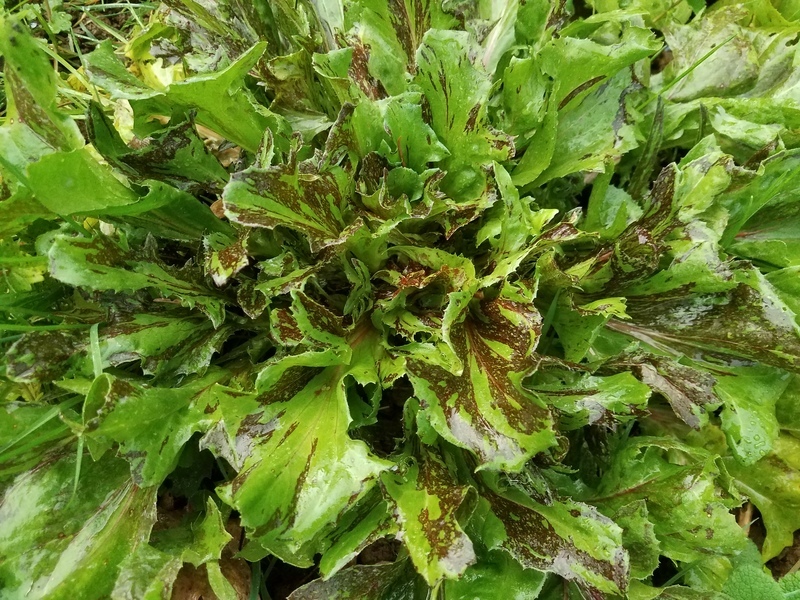 We are testing a unique endive and escarole this coming year, and have sighted some dark red frisée and variegated escarole, some of the intended goals. Farm Original Variety! OSSI (Open Source Seed Initiative) Pledged Variety.